I'm as fast in the rain as I am in the dry. Or conversely I'm no faster in the dry as I am in the rain. 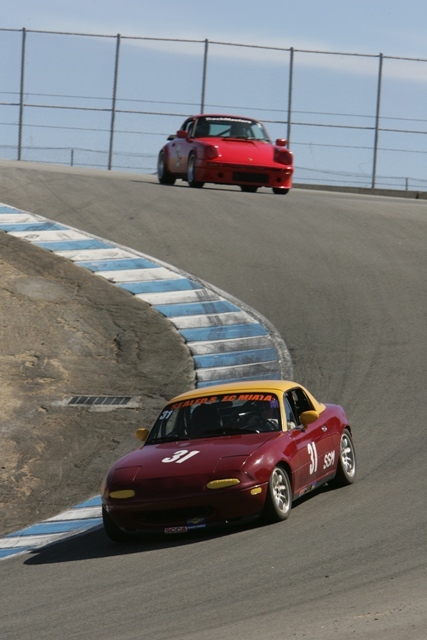 Find More Posts by Andrew D.
What's the difference between golf and racing? With golf you hear...Whack...Oh crap! With racing you hear...Oh crap!...Whack. Interviewer: "The helmet has a special meaning for many drivers. How important is it to you?" Kimi Raikkonen: "It protects my head." Last edited by CanyonBlaster; 10-24-2010 at 01:38 AM. I live with fear every day. Sometimes I leave her and go racing. "Show me a good looser and I will show you a looser." "Sometimes it doesn't come cheap... Sometimes you get away with it..."
"whats does a driver and his pit crew have in common? if the driver screws up, he could die; if the pit crew screws up he could die"